General tip: From Highway 76, either of two roads can be used to reach the park. The one from Rincon Springs (County Road S6) is scenic but rather steep and winding. County Road S7 (East Grade) from Lake Henshaw is longer, but its gentle grade makes it more suitable for heavily loaded vehicles and those pulling trailers. The park's physical address is: 19952 State Park Rd. Palomar CA 92060. 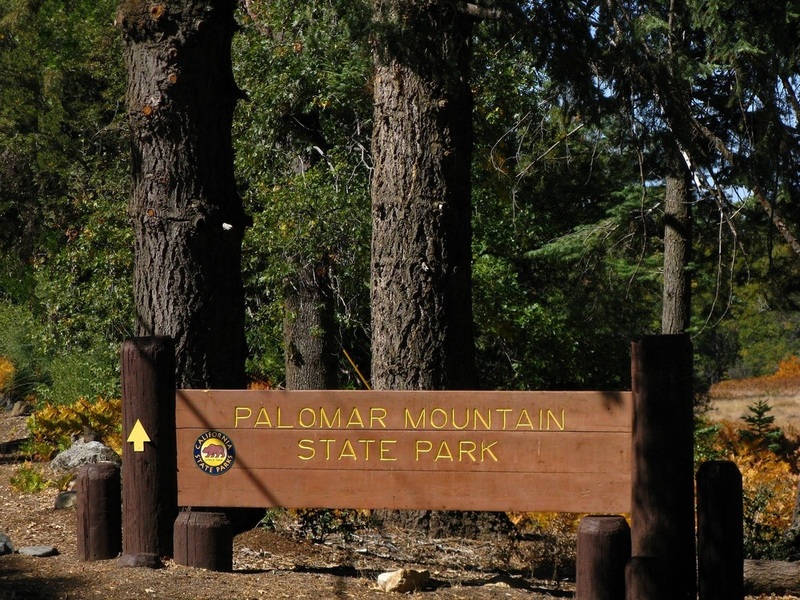 However, if you're relying on Google Maps, enter the destination as Palomar Mountain State Park; entering the physical address will give you incorrect directions! For printer friendly directions to the park, ﻿click here for a pdf file﻿. If you're relying on a mobile device, you may want to download directions as an image, since reception is spotty on the mountain. ﻿Click here for a png file. Note that there are no gas stations on Palomar Mountain. Unless you're driving a rugged vehicle, it's best not to attempt to come up Nate Harrison Grade because its condition is unpredictable, especially during the rainy season.